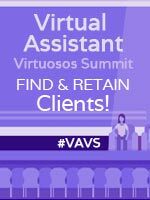 I know I haven't contacted you for well over a week to share with you some resources in the Virtual Assistant industry but I've been super busy getting ready for our #VAVS online conference coming to you May 25-27th. I'll announce more about it in April once the website is up to date. I'm looking for a couple more speakers to participate so let me know if you know someone you'd love to hear speak with us. Theme for our 13th Season is "How to Find and Retain Clients". It's going to be awesome! As well I will be hosting a Virtual Assistant LIVE Get-Together at the Beach Party on Saturday, April 16th from 1pm to 5pm at my place in Whiterock, British Columbia, Canada. I'm only 1 mile from the USA border so if you live in Washington State it's super easy to get to but you will need a passport for the day If you are interested in attending this please let us know and we'll put you on the list for directions. You can Officially RSVP here and read about all our planning details in our #VAforum. NOTE: If you'd like to share your niche/specialty knowledge as a Volunteer Moderator at our #VAforum you can learn more here. Anyone else tired of Facebook notifications every second of the day because someone has posted or liked a post in a group I'm a part of? I SURE AM! lol! I've decided today to close FB throughout the day as ever since FB groups came into existence I'm distracted all the time and putting out less work on a daily basis. That means less money! Others I've talked to are tiring of this FB distraction too. Of course it has it's pros...like you can almost get an answer immediately to your question and we live in the age of instant gratification so that is important you know Maybe I'm old school but if I have a question I don't mind waiting a few hours for an answer to it which is why I still wake up every morning and start the day with a VA at my ‪#‎VAforum‬. I like the fact I can go there when I want and not because I've been coerced into going there by an unread notification in my browser window LOLOL! Then again I'm not the type who likes to be told what to do and those FB notifications make me feel like I'm being told to read them! 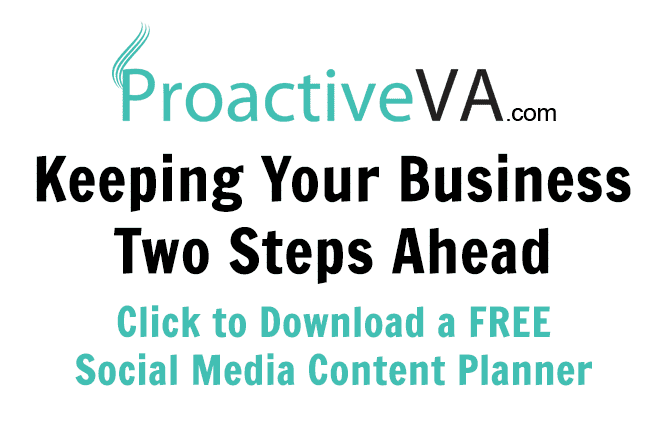 We should be finding clients and learning how to retain them and not wasting our business time on Facebook which is really just a bunch of jibber jabber which I don't need to hear 24/7. Your thoughts? I'd love it if you would share our blog posts on your social networks to help us help other Virtual Assistants world wide.